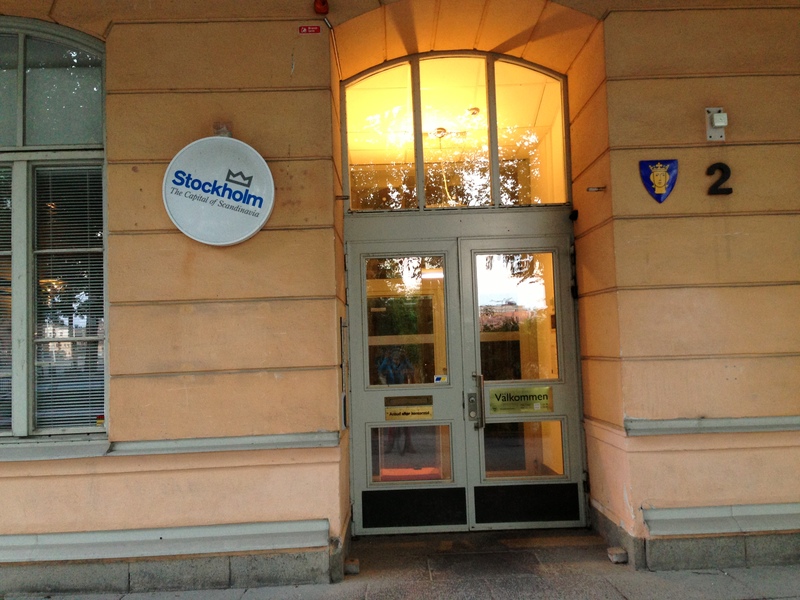 Nurse Angry asks you: What’s wrong with this Stockholm picture? Aside from the fact that it is a bad photo. Waaaaaaaaaaaaah! Actually, there are probably quite a few things wrong with this picture, but seriously, what’s with that SIGN? The one that looks like it’s hanging by a thread. On the filthy wall. 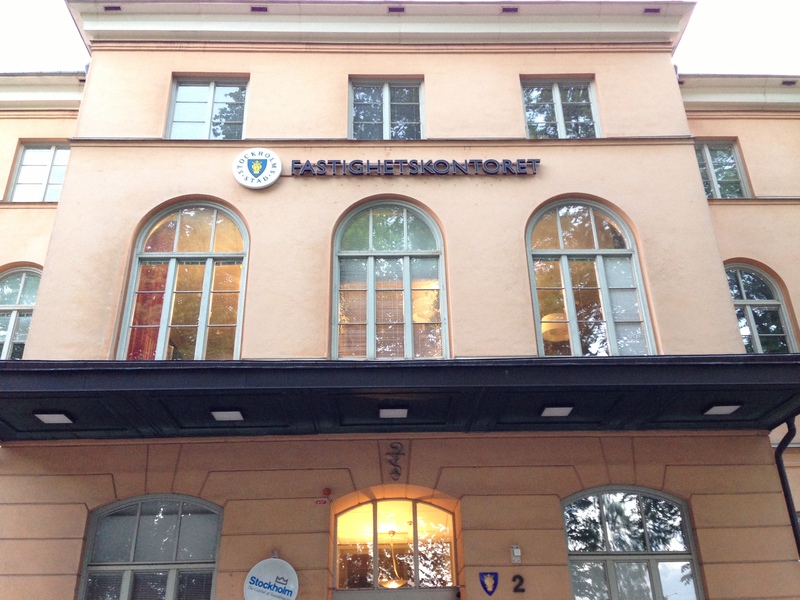 On the building housing Fastighetskontoret- the offices in charge of real estate owned by the city. Nurse Angry is not kidding. Note the nice little bit of raw concrete above the top of the sign- sign must’ve slid down a little, right? No. That is the way it’s supposed to be. Tilted. Yes, that sign with the sickening slogan “Stockholm. The Capital of Scandinavia.” How uptight, smug and self-absorbed can a slogan be? Nurse Angry gets, well, ANGRY every time she bikes past it. What was wrong with “Beauty on water”? It was at least true. Nurse Angry even prefers “The Venice of the North” and that’s a pretty appalling statement. Luckily the perfect antidote is right around the corner. 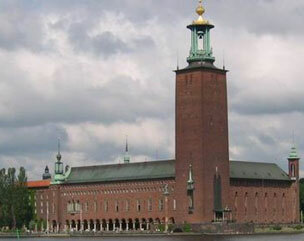 Nurse Angry recommends going immediately a few hundred meters to your left to have a look at Stockholm City Hall instead. Ahhh, lovely. Thank you Ragnar Östberg! Ahh, Swedes getting whimsical in their inimitable way.. heh. heh. Nurse Angry can just see it happening: the sign goes up and someone at Fastighetskontoret goes “Wait- we can’t have people thinking Swedes are all proud and uptight. Let’s tilt it a little and let the world know we have a sense of humor.” Not sure what it is that presses a button, but that sign makes Nurse Angry want to tear her hair out, jump up and down and scream in public. In a whimsical way, of course.